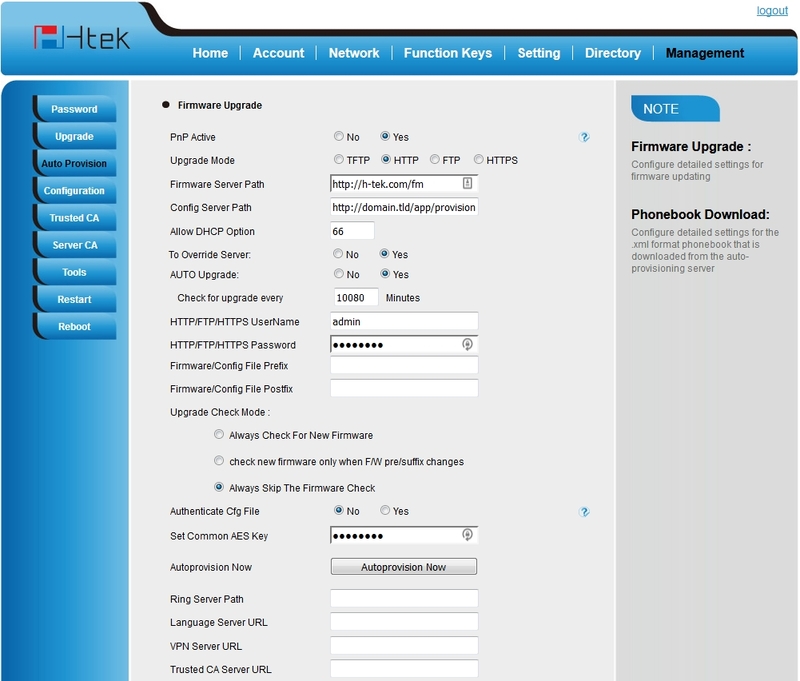 Setting up a Htek SIP phone through the phone’s local http management portal. Factory reset the phone (physically on the phone) by pressing menu button > Settings > Advanced Settings (default password is admin) > Phone Settings > Factory Reset > Press yes to continue. Some additional settings need adjusted to provision with a self signed certificate.